With 17 million souls, Beijing has a vast number of historical monuments and some of its districts boast avant-garde architecture. 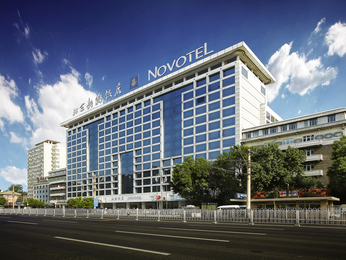 Stay in a Novotel Hotel for a restful and pleasant environment while you are in Beijing. 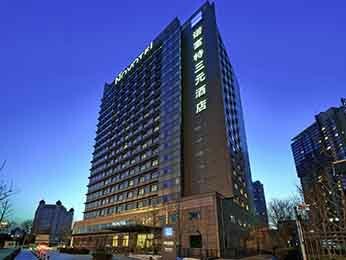 Beijing has emblematic sites which have made it world-famous. One of them is the Forbidden City. The old imperial residence is the most telling testimony of old Chinese architecture. It hosts an immense museum full of imperial treasures such as the Dragon Throne and the Seat of the Emperor. Visit Tiananmen Square, the fourth largest square in the world, and allow yourself to be overwhelmed by its 20 hectares. At sunrise and sunset, a battalion of soldiers raise and lower the flag in the square. Nearby is the Mausoleum of Mao Zedong. Also visit the Summer Palace, an idyllic setting where you can admire a harmonious arrangement of gardens, temples, bridges and pavilions. If you want to enter the Beijing of yesteryear, discover the hutong, the alleys of the old city centre, some of which are over nine centuries old. It is the ideal location to taste local specialities. For avant-garde architecture, visit the Beijing National Stadium, also known as the Bird’s Nest. In the evening, the national performing arts centre, also known as the Beijing Opera, will dazzle you with an unforgettable spectacle, while you will enjoy the leaps and capers of Beijing’s acrobats in the Chaoyang and Tianqiao acrobatics theatres. 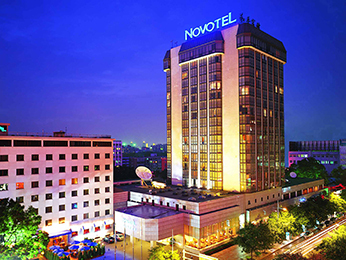 Three Novotel hotels await you in strategic locations in Beijing.